The Russians under Bennigsen were at Heilsberg, using the month of May to prepare his position. 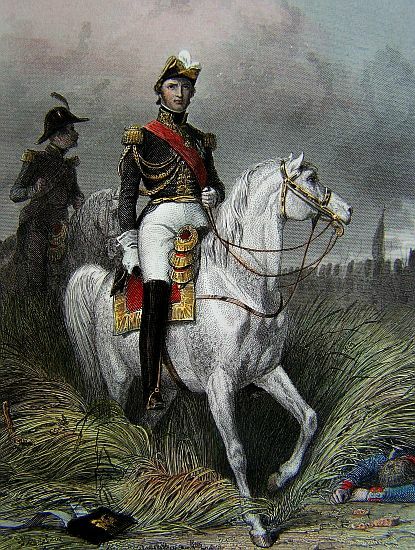 Napoleon ordered Lannes, Murat, Ney, and Soult to Heilsberg, where he hoped to destroy Bennigsen’s remaining army. On the 10th of June 1807, the battle began with Murat engaging Bagration’s cavalry, and Soult attacking Russian positions with his infantry. 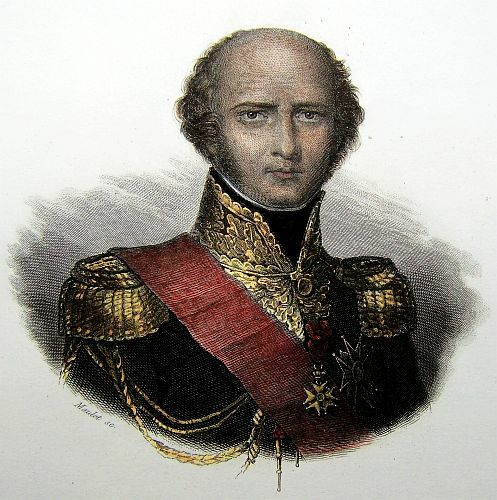 The Russians easily beat back the French and when Napoleon arrived the action ceased. 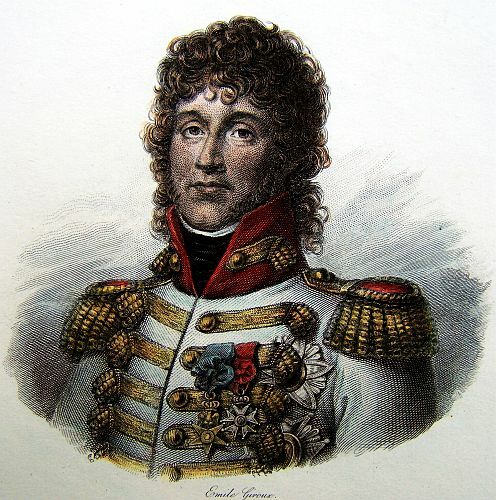 However, Lannes went ahead and sent in Verdier, but he too was repulsed. 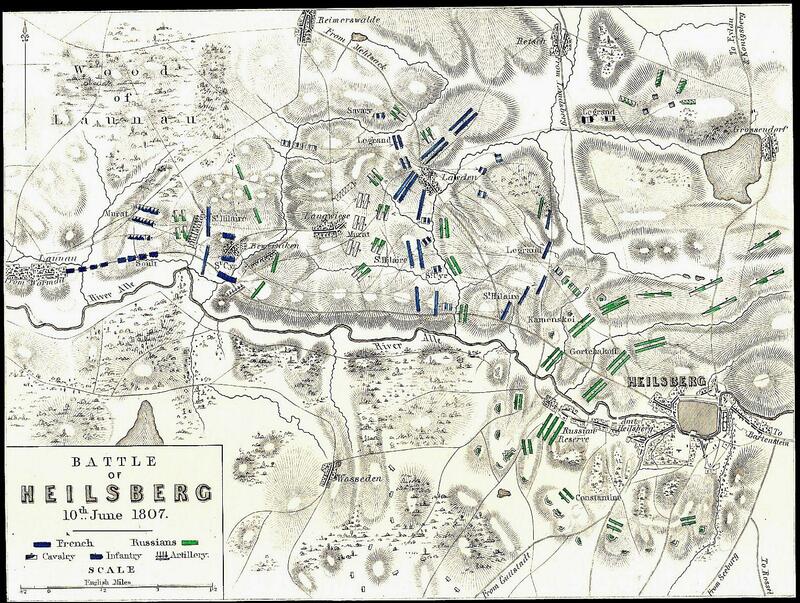 Bennigsen had held but knew that if Konigsberg fell so went the campaign. On the 11th of June, he marched out of Heilsberg for Konigsberg, but first he would have to pass through Friedland. 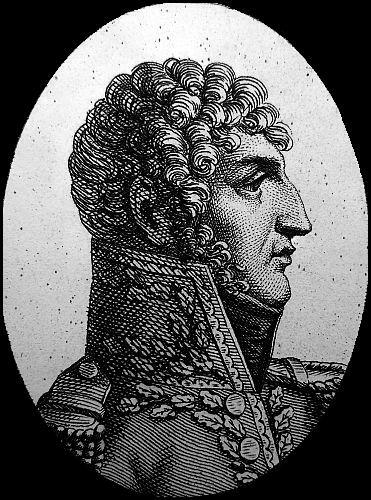 Bennigsen ordered Lestocq and Kamenskoi to Konigsberg, and Napoleon immediately ordered Murat and Soult to Konigsberg, and Lannes to Friedland. On the 5th of June the Russian army put itself in motion. Its divisions on the right attacked the tete-du-pont at Spanden, which General FRERE defended with the 27th regiment of light infantry. Twelve Russian and Prussian regiments made several ineffectual attempts. Seven times did they renew the attack, but were as often repulsed, The seventeenth regiment of dragoons charged the enemy immediately after the last assault, and forced them to abandon the battle. Thus, during a whole day, two divisions attacked without success a single regiment, which, it must be admitted, was entrenched. 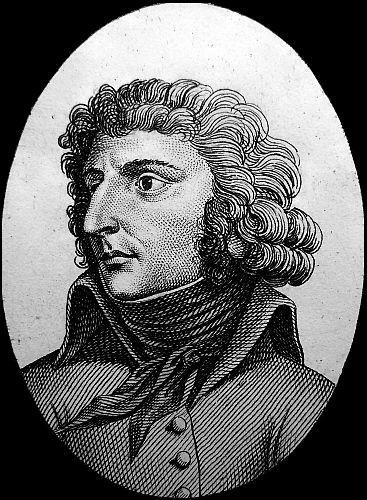 The Prince of PONTE-CORVO, in visiting the entrenchments during the intervals of attack, received a slight wound, which will take him from his command fifteen days. 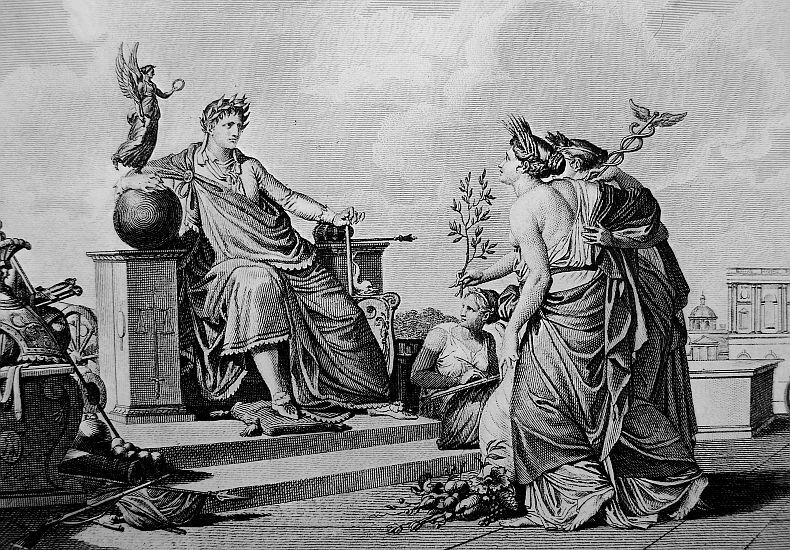 Our loss in this affair was trifling. The enemy lost twelve hundred men, and a number of wounded. Two Russian divisions belonging to the centre attacked at the same time the tete-du-pont of Lomitten. 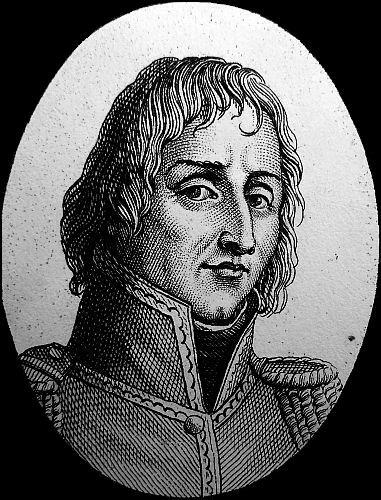 General FEREY’S brigade(part of Marshal SOULT’S corps) defended the tete-du-pont. The Russian General was killed, along with 1,100 men; 100 were taken, and a great many wounded. We had 120 men killed or wounded. During this period, the Russian Commander in Chief, with the Grand Duke CONSTANTINE, the Imperial Guard, and three divisions, attacked the positions of Marshal NEY, at Altzirzen, Gutstadt, and Wolfsdorff. 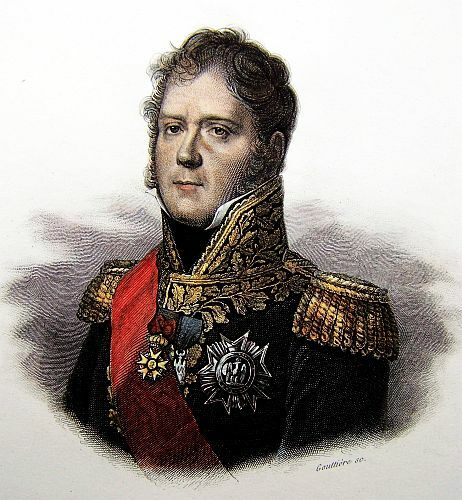 The enemy were every where repulsed; when Marshal NEY perceived that the force opposed to him exceeded forty thousand men, he obeyed his orders, and conducted his corps to Ackendorff. On the following day, the enemy attacked the 6th corps in its positions at Deppen, on the Passarge. They repulsed. 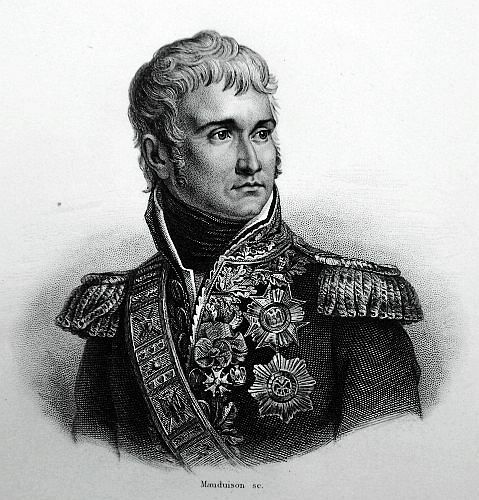 The manoeuvres of Marshal SOULT, , his intrepidity, which he imparted to all his troops, the ability displayed in this situation by General of Division MARCHAND, and his officers, merit the highest eulogiums. The enemy acknowledges having lost this day two thousand killed, and more than three thousand wounded. Our loss was one hundred and sixty killed, two hundred wounded, and two hundred and fifty taken. The latter were for the most part taken by the Cossacks, who, on the morning of the attack had got into the rear of the army. The EMPEROR arrived at Marshal NEY’S camp, at Deppen on the 8th. He immediately gave the necessary orders. The 4th corps marched to Volfsdorff, where meeting the Russian Division of KAMENSKI, which was on its way to rejoin the main body, the 4th corps attacked it, deprived it of between four and five hundred men, made one hundred and fifty prisoners, and in the evening took its position at Altzirken. The EMPEROR advanced to Guttstadt with the corps of Marshal NEY and LANNES, with his guard, and the cavalry of the reserve. Part of the rear-guard of the enemy, comprising ten thousand cavalry and fifteen thousand infantry, took a position at Glottau, and attempted to dispute the way. The Grand Duke of BERG, after some very skillful manoeuvres, drove the enemy successively from all their positions. The light brigades of cavalry under Generals PAJOL, BRUYERES, and DUROSNEL, and the division of the heavy cavalry under General NANSOUTY, triumphed over all the efforts of the enemy. In the evening at eight o’clock we entered Gutstadt by main force. One thousand prisoners, all the positions in advance of Gutstadt, and the redoubt of the infantry, were the results of this day. The regiments of cavalry of the Russian guard suffered more than any of the rest. On the 10th the army moved towards Heilsberg. It took several of the enemy’s camps. About a quarter of a league beyond these camps, the enemy showed itself in position. He had between 15 and 18,000 cavalry, and several lines of infantry. 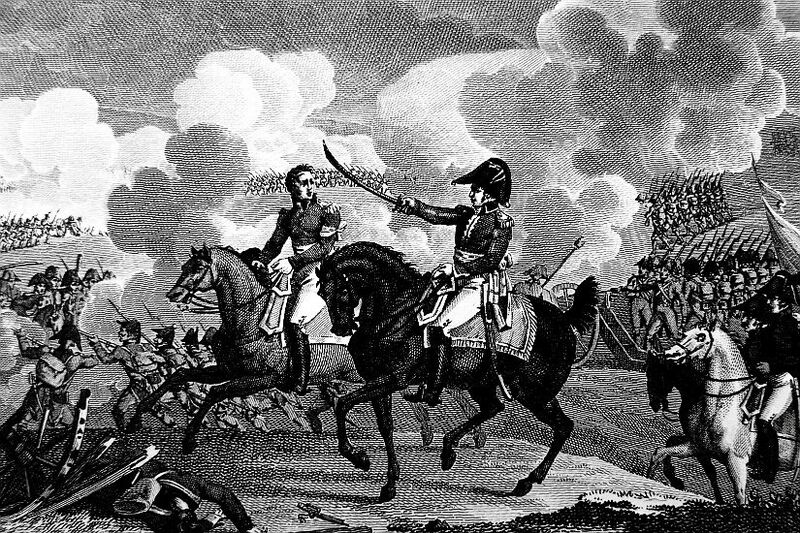 The cuirassiers of the Division d’ESPAGNE, the Division of LATOUR MABOURG’S Dragoons, and the brigade of light cavalry, made several charges, and gained ground. At two o’clock, the corps under Marshal SOULT was formed. Two divisions marched to the right, while the Division of LEGRAND marched to the left, to seize on the extremity of a wood, the occupation of which was necessary, in order to support the left of the cavalry, and made various efforts to maintain themselves in the positions before Heilsberg. More than 60 pieces of cannon scattered death in supporting the enemy’s columns, which our divisions nevertheless repulsed, with the most unexampled intrepidity and the characteristic impetuosity of the French. Several Russian divisions were routed, and at nine in the evening we found ourselves under the enemy’s entrenchments. 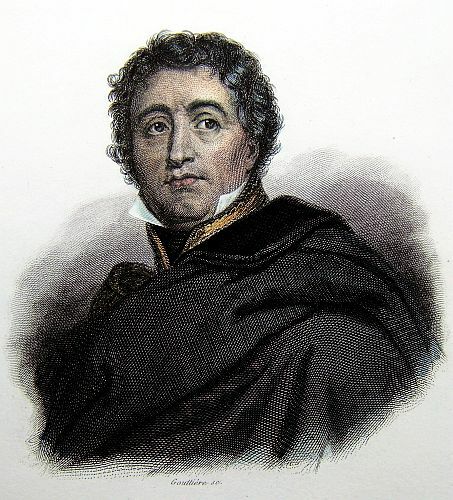 The fusiliers of the guard commanded by General SAVARY were put in motion to sustain the division of VERDIER; and some of the corps of infantry of the reserve, under Marshal LANNES, were engaged, it being already night fall; they attacked the enemy with the view of cutting off his communication with Lansberg, and succeeded completely. The ardour of troops was such, that several companies of the infantry of the line insulted the entrenched works of the Russians. Some brave men met their death in the ditches of the redoubts at the foot of the palisades. The EMPEROR passed the 11th on the field of battle. He there arranged the corps of the army and the divisions, preparatory to a decisive action, such a one as should put an end to the war. The whole of the Russian army was collected. The Russian magazines were at Heilsberg: the Russians occupied a fine position, which nature had rendered very strong, and which they increased by the labour of four months. 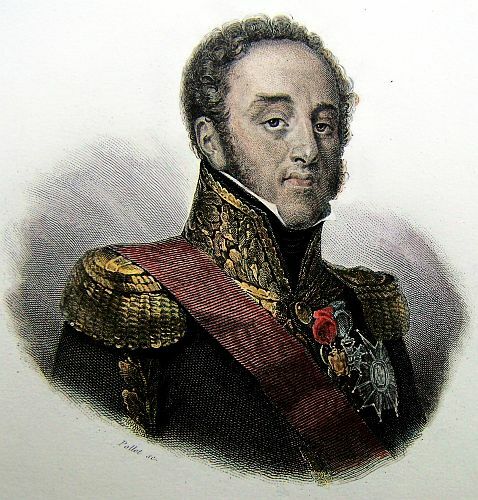 At four in the afternoon, the EMPEROR ordered Marshal DAVOUST to change his front, and push forward his left; this movement brought him upon the Lower Alle, and completely blocked up the road from Eylau. 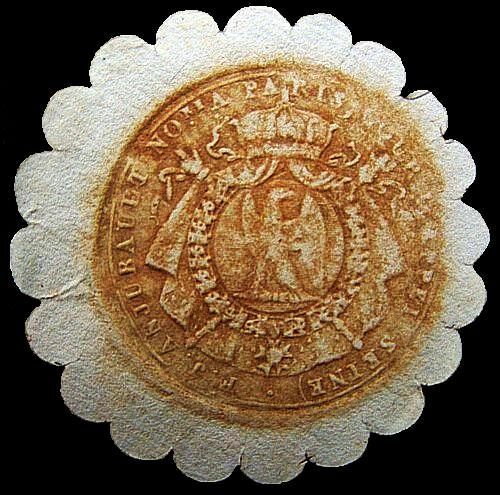 Every corps of the army had its post assigned to it; they were all re-assembled, the first corps excepted, which continued upon the Lower Passarge. Thus the Russians, who were the first to begin the battle, found themselves shut up in their entrenched camp, and were compelled to give battle in the position they had chosen themselves. It was for a long time believed they would make an attack on the 11th. At the moment when the French were making their dispositions, the Russians shewed themselves, ranged in columns, in the midst of their entrenchments, fortified with numerous batteries. But whether those entrenchments did not appear sufficiently formidable, after viewing the preparations which they saw before them; or whether the impetuosity which the French army had shewn on the 10th, had an effect upon them, they began to pass the Alle at 10 o’clock at night, abandoning the whole country to the left, and leaving to the disposal of the conqueror, their wounded, their magazines, and their entrenchments, the result of long and painful labour. On the 12th, at day-break, all the corps of the army were in motion, and took different directions. The houses at Heilsberg and its neighborhood are filled with wounded Russians. The result of the different affairs from the 5th to the 12th has deprived the Russian army of about 30,000 fighting men. They have left between three and four thousand prisoners in our hands; seven or eight pair of colours, and nine pieces of cannon. According to the reports of the prisoners, several of the most eminent Russian Generals have been Killed or wounded. Our loss amounts to six or seven hundred killed, two thousand two hundred wounded, and three hundred prisoners. 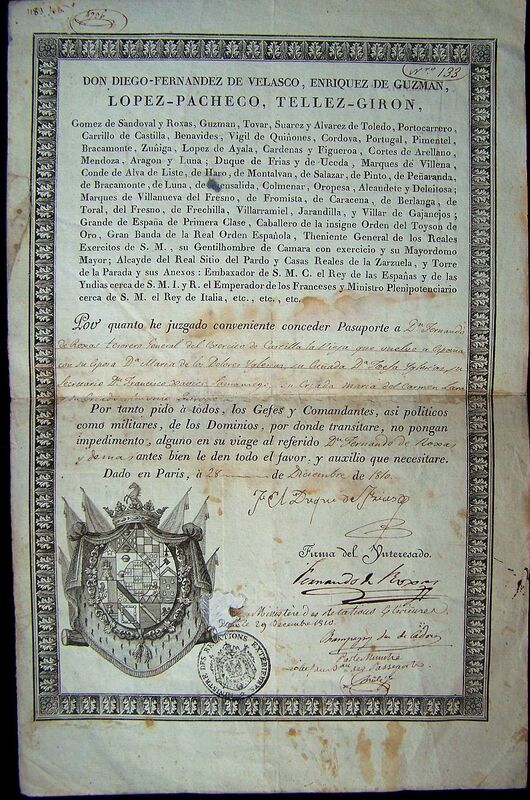 The General of Division ESPAGNE was wounded. 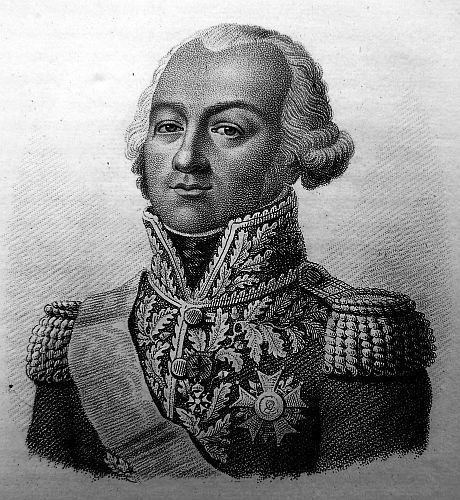 General ROUSSOL, Chief of Staff of the Guard, had his head carried away by a cannon ball. The Grand Duke of BERG had two horses killed under him. 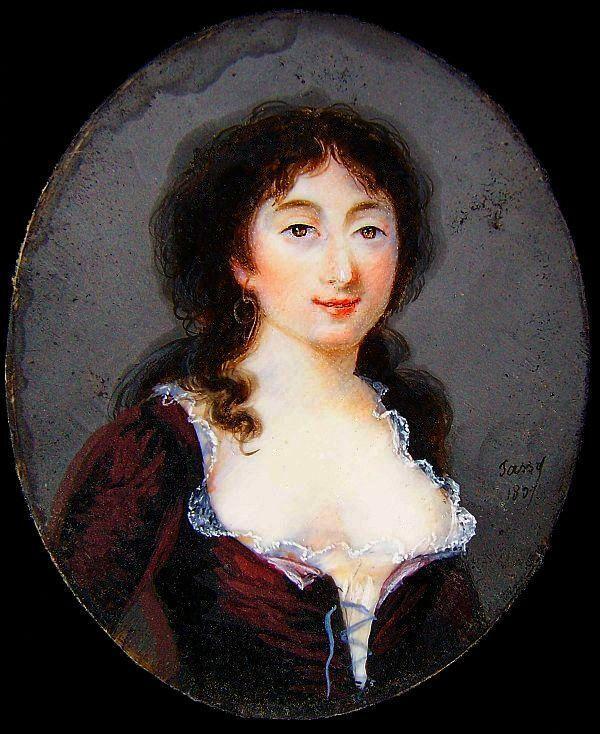 M. SEGUR, one of his Aids-de-Camp, lost an arm. 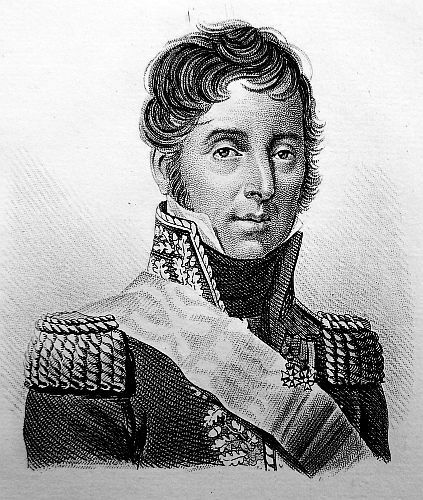 M. LAMETH, Marshal SUCHET’S Aide-de-Camp, was wounded. 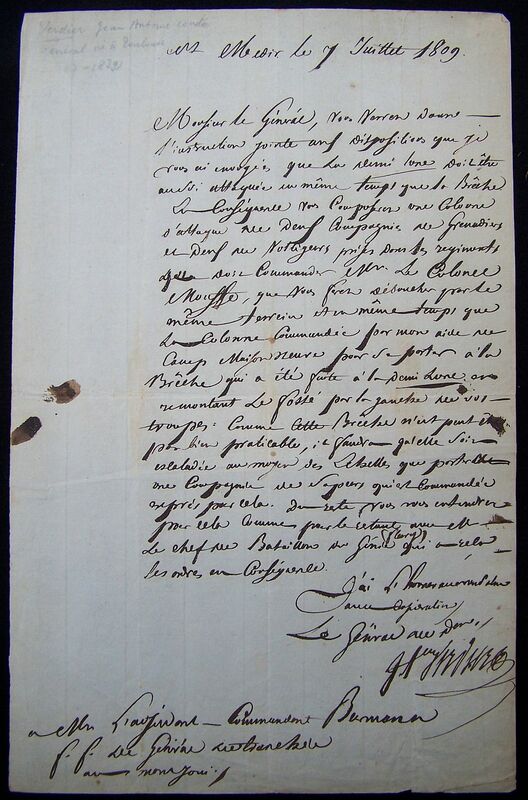 M. LAGRANGE, Colonel of the 7th regiment of horse chasseurs, was killed. The detailed reports will communicate particular acts of bravery, and the names of those who were wounded in the memorable battle of June 10. Several thousand quintals of grain, and a great quantity of different kinds of provisions, have been found in the magazines of Heilsberg.